Years later, both PC hardware and Windows itself are finally ready to rock. Microsoft’s audacious vision for Windows devices that seamlessly blend hardware with software in a unified, holistic experience is finally bearing fruit, after being stuck in a morass for years. The company’s been inching toward this experience ever since it revealed Windows 8, with its touchscreen support and Metro interface. Just last year, the Surface Pro 3 finally became the first piece of kit that truly delivered on Surface’s core ideals, one-upping its flaw-ridden predecessors by delivering no-compromise hardware built around key Windows features; witness how pressing the Surface Pro 3’s pen summoned OneNote, for example. But the Surface Pro 3 still wasn’t immaculate. The reason: Windows 8. The hardware may have matured to match Microsoft’s vision, but Windows itself still hadn’t. Everything’s different with Microsoft’s just-revealed hardware lineup, from the Lumia 950 to the Surface Book laptop to the new Band, and it’s all thanks to Windows 10. For the very first time in the modern era, PC hardware and Windows software are singing in perfect harmony, and it couldn’t sound any sweeter. Simple: Windows 8 launched prematurely. I mean, not really. Microsoft had to push the touch-friendly Windows 8 out when it did, or risk irrelevance in the face of the skyrocketing popularity of Android and iPhone. 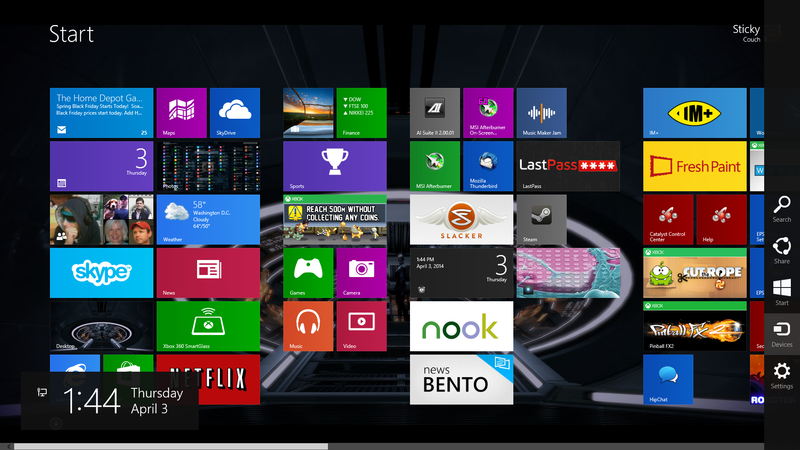 By the time Windows 8 launched in October 2012, it already felt very, very late. 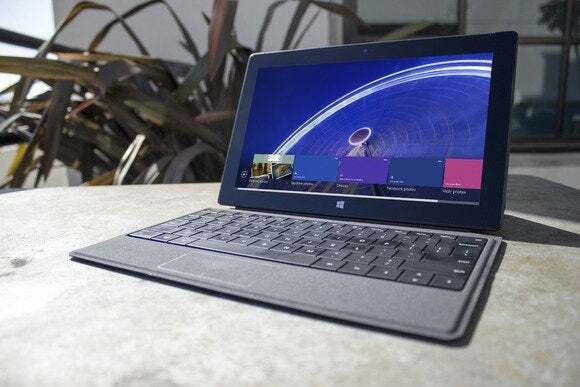 But it was clearly rushed out the door, and worse, the PC hardware ecosystem wasn’t ready to support a brave new future full of 2-in-1 hybrid devices, as evidenced by the utter lack of touchscreen devices available during Windows 8’s first holiday season. The Surface Pro 2 was good, but not great, thanks to hardware and software that both failed to achieve Microsoft’s vision. Over time, though, things got better, as Microsoft’s ambition and the fear of potential tablet dominance spurred hardware makers into action. Intel began focusing on ekeing improved efficiency out of its PC chips, rather than putting the pure performance pedal to the metal, culminating in the new Skylake processors that deliver twice the potency for one-quarter of the thermal power of five-year-old chips, and scale all the way down to just 4.5W. Nvidia’s Maxwell architecture for GeForce GPUs is a masterpiece of energy efficiency. SSDs just keep getting smaller and smaller and smaller. It took years, but PC hardware’s finally able to realize a thin, light, portable future. Windows 8 may have been the catalyst for the change, but it wasn’t up to powering truly compelling mobile hardware, either. Even Intel’s then-CEO reportedly acknowledged that the OS was less-than-complete when it shipped, a sentiment echoed by the lackluster consumer response to Windows 8. The operating system tossed legacy desktop users out in the cold to offer a disjointed, cobbled-together mobile experience. Windows 8 was, uh, half baked, to put it nicely. Windows underwent an evolution of its own after Windows 8’s launch, implementing rapid-response updates and listening to customer feedback in ways that would’ve been unthinkable under previous Microsoft regimes. Longtime CEO Steve Ballmer resigned and was replaced by Satya Nadella, who instituted a strong focus on Microsoft services and designing for a “mobile-first, cloud first” world. The result: Windows 10. It’s still not perfect, but it rectifies Windows 8’s most egregious flaws, weaving together the best of Windows 7 and Windows 8 in a way that lets a PC be a PC and a tablet be a tablet, delivering a consistent experience across devices thanks to the power of Microsoft’s services. The software is now ready to meet Microsoft’s years-old vision for portable computing. Which brings us to today’s Windows 10 hardware blitz. Every new device and every announcement Microsoft made on Tuesday stem from the marriage of Windows 10 with hardware designed to embrace its advantages. 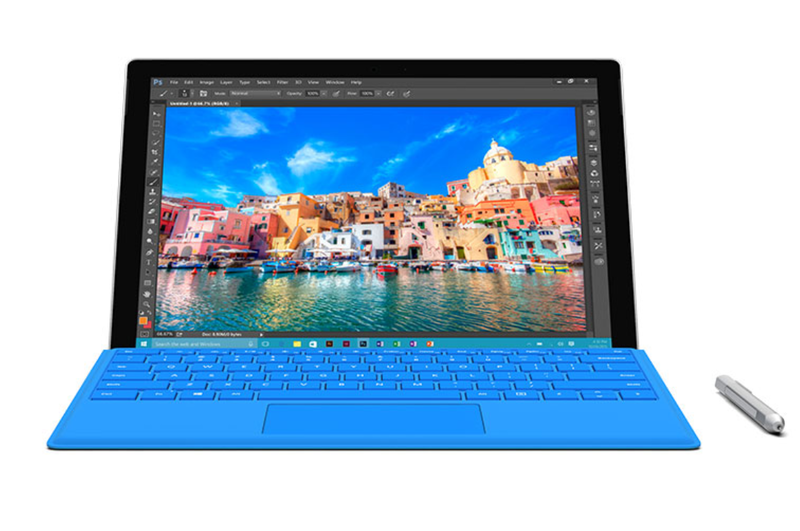 The Surface Pro 4 may be merely iterative hardware-wise compared to the Surface Pro 3, but technological advancements allowed Microsoft to make it even thinner, lighter, and more powerful. More impressively, the SP4’s new features embrace Windows 10’s new features to the fullest. Windows Hello facial recognition is built into the camera. Holding the Surface Pen’s button down summons Windows 10’s Cortana digital assistant, which can than answer your vocal queries. The web searches Cortana surfaces in the new Edge browser can be marked up with the pen, closing the virtuous hardware/software loop. The Surface Book shows what’s possible when you pair thoughtful laptop design with Windows 10’s sensibilities. 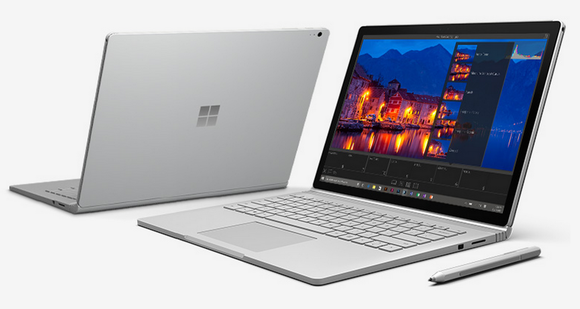 Beyond the Surface Pen and Windows Hello support, the Surface Book reveals that you can have powerful laptop performance in a thin-and-light design and still detach the screen to have a fully functional Windows tablet experience. The battery-sipping Nvidia GPU gives you performance without a power hit. 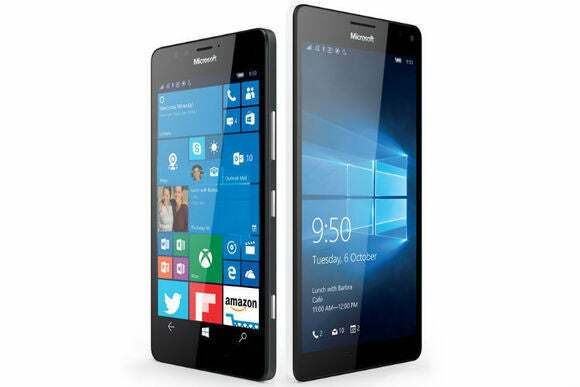 Microsoft’s Lumia 950 and 950 XL Windows Phones. The new Lumia 950 and 950 XL, meanwhile, show what can happen when you marry powerful new mobile hardware with Windows 10’s killer Continuum feature, allowing you to use your phone as a full-blown Windows 10 PC when it’s docked to an external display. And their native Windows Hello facial unlocking looks awesome. The new, curved-display Microsoft Band. 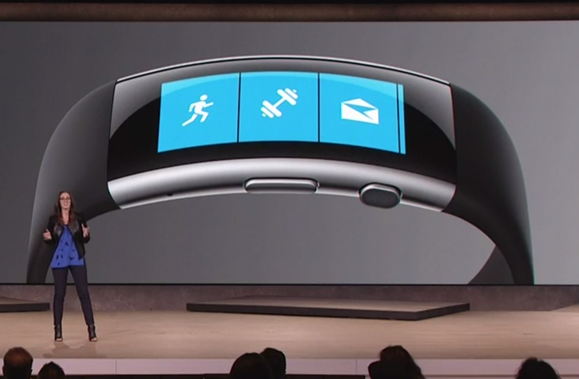 The new curved-display Microsoft Band offers few fresh hardware features, but the way it blends a bevy of wrist-based sensors with the cloud-based smarts of the Microsoft Health app creates potent, personalized “big data” insights that you just won’t find in any other fitness wearable or watch. All of these experiences, as well as the new experiences promised for HoloLens and Xbox, wouldn’t be possible if hardware and software weren’t perfectly in sync. There’s a reason that Windows 8 and Windows Phone 8 failed. And this onslaught of Windows 10 devices may still falter. The Windows Store and its device-scaling universal Windows apps underpin many of Windows 10’s most impressive capabilities, and while things are looking up on that front, Microsoft’s app store still has a long row to hoe. But damn if it isn’t impressive on paper. 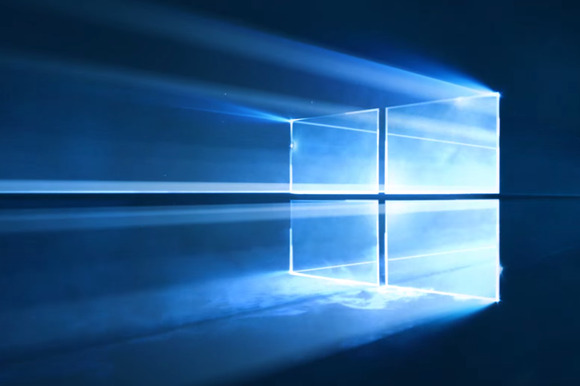 For the first time ever, everything’s in place for Microsoft to realize its ambitious vision for Windows 10 devices. Now we wait and see whether the rest of the world will embrace Microsoft’s future, too.